Home>New Songs>Wiley Songs> Wiley Takes Aim At Skepta & Dizzee Rascal On "Flip The Table"
Grime music has become globally renowned in recent times, but unfortunately, there's a rift among the genre's legendary figures. After stating his displeasure with Skepta and Dizzee Rascal, the godfather of grime takes his issues to wax with the two emcees on his new track, "Flip The Table." Wiley is back with his new track, "Flip The Table" which serves as his official diss track towards Skepta and Dizzee Rascal. The MC originally shared the track on sendspace, which was the original platform for MCs to share their Grime songs on the Internet. Wiley shared the single on Twitter and announced that "The War Has Officially Started." "You’re not a killer, you’re a table flipper/ The boy in the corner, the grime scene quitter," he raps in reference to Dizzee Rascal. Last month, Wiley went off on Skepta and Dizzee Rascal on Instagram Live, calling them frauds, after the two MCs collaborated with each other on the track, "Money Right." Wiley and Dizzee Rascal have been beefing with one another over the past fourteen years after Dizzee was stabbed in 2003. Peep Wiley's new track below. 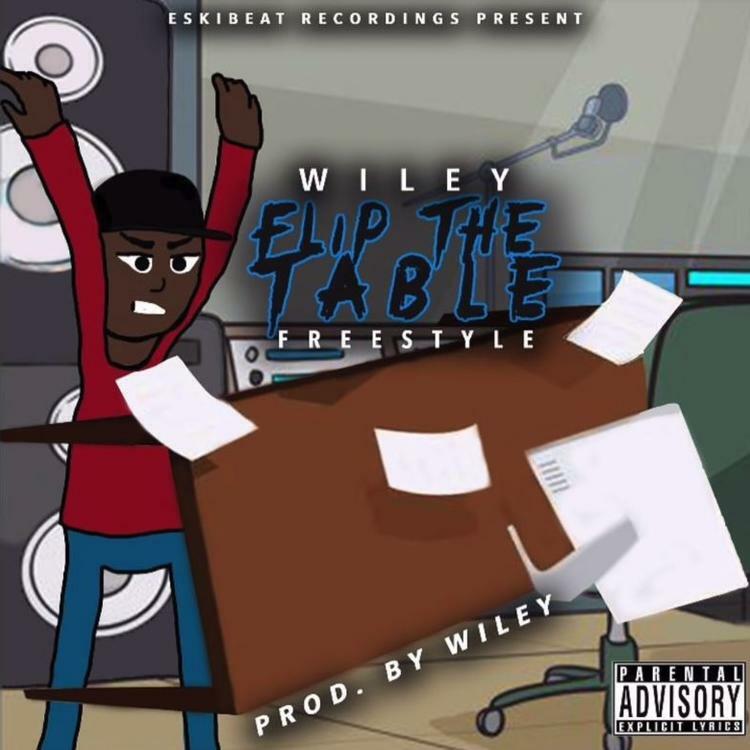 SONGS Wiley Takes Aim At Skepta & Dizzee Rascal On "Flip The Table"